Attorney Sarah Churchill was recently named a Top 10 Defense Attorney by the National Academy of Criminal Defense Attorneys. PORTLAND, Maine - April 11, 2016 - PRLog -- Attorney Sarah Churchill of law firm Nichols & Churchill, P.A. has been named a Top 10 Criminal Defense Attorney by the National Academy of Criminal Defense Attorneys (NACDA) and joins a prestigious group of best-of-the-best criminal defense lawyers in the state. NACDA conducts a rigorous vetting of all nominated defense lawyers before finalizing who makes their Top 10 list in each state. Candidates must first be nominated by a practicing lawyer in their state. To further qualify, nominated candidates must be in private practice, have a minimum of 5 years experience in criminal defense, be in good standing with their state bar, and devote a considerable amount of practice to criminal defense. Finally, making the Top 10 list means the Board of Governors at NACDA found substantial evidence that the attorney has positive client and peer reviews, positive case outcomes, professional publications and other achievements relating to their participation in the criminal defense community. "There are two groups you look to for getting recognition that satisfies you as an attorney. The first are your clients, because they're who you serve on a daily basis. The second are your peers. In Maine, the defense bar is relatively small and we all tend to know each other quite well, so getting this nomination from them is very meaningful and a real honor to me," says Churchill of the NACDA Top 10 accolade. As the true mark of a professional dedicated to the field, Churchill has been previously recognized for her outstanding qualities and efforts as an advocate. 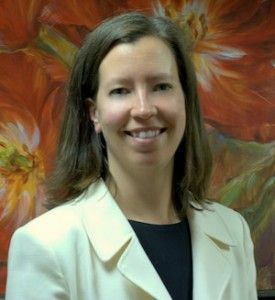 In June of 2011, Attorney Churchill was elected by her peers to be President of the Maine Association of Criminal Defense Lawyers, the largest organization of criminal defense attorneys in the state. Then, in 2012, she was again nominated by her peers and added to the Super Lawyers' highly coveted "Rising Stars" list. Criminal defense work operates at the highest level of the practice of law. To maintain that high level throughout serious charges and complex cases, Churchill says she often relies on her personal support system. "The most important personal support I have is my family. They encourage me on a regular basis and appreciate that I do this work, and do it at a high level. My husband in particular is a constant supporter of me and my work." The NACDA nominations are not made public and Churchill did not know she was honored in the Top 10 until the Portland Press Herald published the list. "It was a really nice surprise, and I felt truly honored." While criminal defenders rarely like "surprises," Attorney Churchill says making NACDA's Top 10 Criminal Defense Attorneys in Maine was a welcomed surprise that adds to her motivation to be the best litigator, trial attorney and advocate for her clients that she can be. About Nichols & Churchill, P.A. The legal team at Nichols & Churchill is uniquely qualified to handle a wide range of civil and criminal matters for residents in Maine with the highest level of dedication and a proven track record of successes. They are effective and consistently successful because they draw on each other to produce the best winning strategies for every client represented. Their combined experience totals over 40 years in criminal defense, civil law and procedural law. Nichols & Churchill stands together to serve their communities and protect individual rights to due process and the fair application of standards of law throughout any civil or criminal matter. Law partners Attorney Matt Nichols and Attorney Sarah Churchill have represented hundreds of clients in serious legal cases and work tirelessly to gain advantages and deliver desired outcomes. If you need exceptional representation for a legal matter, contact Nichols & Churchill today. To learn more about our legal team, visit our website at http://www.nicholschurchill.com/about/. We serve communities in Cumberland, Sagadahoc, Kennebec, York, Lincoln, Androscoggin, Oxford, Franklin and Knox counties. For in-depth information on our services and practice areas, visit us here http://www.nicholschurchill.com/practice-areas/. : Nichols & Churchill, P.A.